This page features a list of my publications, and then details of the software I code and/or maintain. At the bottom is a list of presentations and posters. All journal titles link to a full-text copy on the publication website. A number of the publications also have links to press coverage with further information. Citation metrics are available on my Google Scholar profile. Garwood, R. J. 2018. Patterns in Palaeontology – Deducing the tree of life. Palaeontology Online 8(12): 1-10. Knoll, F., Chiappe, L.M., Sanchez, S., Garwood, R.J., Edwards, N.P., Wogelius, R.A., Sellers, W.I., Manning, P.L., Ortega, F., Serrano, F.J. and Marugán-Lobón, J. 2018. A diminutive perinate European Enantiornithes reveals an asynchronous ossification pattern in early birds. Nature Communications, 9(1): 937. doi: 10.1038/s41467-018-03295-9 (More information: 1, 2, 3, 4). Nabawy, M.R., Sivalingam, G., Garwood, R.J., Crowther, W.J. and Sellers, W.I. 2018. Energy and time optimal trajectories in exploratory jumps of the spider Phidippus regius. Scientific reports 8(1): 7142. doi: 10.1038/s41598-018-25227-9 (More information: 1, 2, 3, 4, 5, 6, 7). Wang, B., Dunlop, J.A., Selden, P.A., Garwood, R.J., Shear, W.A., Müller, P. & Lei, X-J. 2018. Cretaceous arachnid Chimerarachne yingi gen. et sp. nov. illuminates spider origins. Nature Ecology & Evolution. 2: 2: 623–627 doi: 10.1038/s41559-017-0449-3 (More information: 1, 2, 3, 4, 5, 6). Garwood, R.J. 2011. Tomographic reconstruction of Carboniferous Arthropods. PhD thesis, Imperial College, London. Thesis and all the associated data available online. I contribute to a number of pieces of software, the source code of which is released through the Palaeoware github repositories, or on my personal GitHub account. I coded SPIERSalign, part of the SPIERS software suite, and help maintain this and the other SPIERS programmes with my colleagues Mark Sutton and Alan Spencer. SPIERS allows 3D reconstructions and digital visualisations to be created from slice-based datasets (such as those output by CT scanners). The software is fully documented, and freely available on the Palaeoware github. More information is available on the SPIERS website. I am also actively developing a number of pieces of software which simulate evolution, evolutionary trees, and associated data. Most of this work is conducted in collaboration with colleagues at Manchester and elsewhere. These are currently in review, and will be hopefully be available soon. 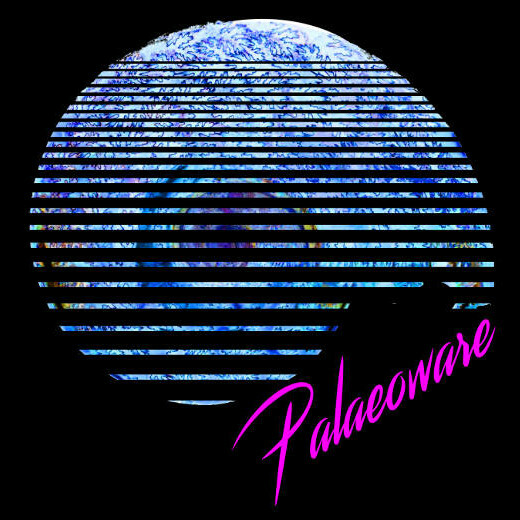 For updates on software, you can follow Palaeoware on twitter. López-Antoñanzas, R., Wogelius, R., Peláez-Campomanes, P., Garwood, R.J., Edwards, N., Manning, P.L., Bergmann, U., Jorge, A. & Knoll, F. 2018. An exceptional perinate Enantiornithes from the Lower Cretaceous of Spain and its implications for ossification pattern in early birds. (Talk; Given by Raquel López-Antoñanzas). 5th International Paleontological Congress – Paris. Keating, J., Garwood, R.J., Sutton, M.D. & Sansom, R. 2018. Is parsimony dead? Bayesian and parsimony phylogenies tested using both empirical and simulated morphological data (Talk; Given by Joe Keating). 5th International Paleontological Congress – Paris. Rahman, I., Spencer, A.R.T., Garwood, R.J. & Burka, G. 2018. Using neutron tomography to study fossils with poor X-ray attenuation contrast (Talk; Given by Imran Rahman). 5th International Paleontological Congress – Paris. Knoll, F., Chiappe, L., Sánchez, S., Garwood, R.J., Edwards, N., Wogelius, R., Sellers, W., Manning, P.L., Ortega, F. & Luis Sanz, J. 2018. An exceptional perinate Enantiornithes from the Lower Cretaceous of Spain and its implications for ossification pattern in early birds. (Talk; Given by Fabien Knoll). 5th International Paleontological Congress – Paris. Ortega-Hernández, J. & Garwood, R. J. 2018. New evolutionary insights from the tardigrade fossil record. (Talk; Given by Javier Ortega-Hernández). 14th International Symposium on Tardigrada, Copenhagen. Garwood, R.J. 2018. Through tinted lenses: The history - and future - of imaging animals. (Talk; Invited Speaker). Pint of Science 2018, Manchester. Garwood, R.J., Sutton, M.D., Knight, C., Gomez, G, Sansom, R.S., Keating, J.N. & Spencer, A. R. T. 2017. Simulating evolution in space and time. (Talk; Invited Speaker). Annual Meeting of the Palaeontological Association, Imperial College, London. Keating, J., Garwood, R.J., Sutton, M.D., & Sansom, R.S. 2017. Is parsimony dead? Bayesian and parsimony phylogenies tested using both empirical and simulated morphological data. (Talk; Given by Joe Keating). Annual Meeting of the Palaeontological Association, Imperial College, London. Garwood, R.J., Sutton, M.D., Knight, C., Gomez, G, Sansom, R.S., Keating, J.N. & Spencer, A. R. T. 2017. Modelling evolution in deep time. (Talk; Invited Speaker). Manchester Evolution Symposium. Garwood, R.J. 2017. Fossils and turning points in evolution. (Talk; Invited Speaker). Manchester Metropolitcan University. Garwood, R.J. 2017. Open Access evangelism – benefits and risks. (Talk; Invited Speaker). Open Research Forum, University of Manchester Library. Dobson, K.J. & Garwood, R.J. 2017. 3D and 4D tomography for volcanic and magmatic materials: recent successes & future directions (Poster; Presented by Kate Dobson). EGU 2017, Vienna, Austria. Sykes, D., Withers, P.J., Rawsom, S. & Garwood, R.J. 2017. Effect of sample preparation on the mechanical properties of arthropod cuticle. (Poster; Presented by Dan Sykes). SEB Gothenburg 2017. Garwood, R.J. 2017. Fossils, evolutionary transitions, and CT scanning. (Talk; Invited Speaker). University of Leicester. Warke, M.R., Edwards, N.P., Schröder, S., Wogelius, R.A., Manning, P.L., Bergmann, U., Kimball-Linares, K., Garwood, R.J. & Beukes, N. J. 2017. Synchrotron-based XRF mapping of Neoarchean stromatolites: trace element distribution in microbialites. (Talk; Given by Matthew Warke) Goldschmidt2017, Paris, France. Garwood, R.J. 2017. Studying evolutionary transitions in deep time. (Talk; Invited Speaker). Trinity College, Dublin. Sykes, D., Garwood, R.J., Rawsom, S. & Withers, P. J. 2017. Fracture mechanics of arthropod cuticle. (Poster; Presented by Dan Sykes). Tomography for Scientific Advancement, University of Portsmouth. Garwood, R.J. 2017. Dabbling in digital palaeontology — arachnids, locomotion and character simulation. (Talk; Invited Speaker). University of Bristol. Garwood, R.J. 2017. Fossils, computers, and transitions — when evolution rattles over the points. (Talk; Invited Speaker). University of Oxford DTP Seminar. Garwood, R.J., Sutton, M.D., Knight, C., Barnett-Neefs, C., Sansom, R. & Keating, J. 2017. New approaches in the computer simulation of evolution, trees, and characters. (Talk; Invited Speaker). University of Oxford. Hickman-Lewis, K., Garwood, R.J., Brasier, M. D., McLoughlin, N., Goral, T., Jiang, H. & Wacey, D. 2017. Carbonaceous Microstructures of the 3.46 Ga Stratiform ‘Apex Chert’: A New Suite of Microscopic MISS? (Poster; Presented by Keyron Hickman-Lewis). Astrobiology Science Conference 2017, Mesa, Arizona, USA. Garwood, R.J. 2017. New techniques in palaeontology, and evolutionary transitions (Talk; Invited Speaker). Craven & Pendle Geological Society. Garwood, R.J. 2016. Digital techniques for understanding ancient life. (Talk; Invited Speaker). Manchester Geological Association. Garwood, R.J. 2016. Storycollider. (Story; Invited Speaker). Manchester Science Festival. Sykes, D., Bradley, R.S., Hartwell, R., Hornberger, B., Garwood, R.J. & Withers, P.J. 2016. Learning from nature: Time-lapse 3D imaging of the mechanical behaviour of arthropod cuticle. (Talk; Given by Dan Sykes). Tomography for Scientific Advancement, University of Bath. Hickman-Lewis, K., Garwood, R.J., Brasier, M.D., Goral, T., Jiang, H., McLoughlin, N. & Wacey, D. 2016. Carbonaceous Microstructures of the 3.46 Ga Stratiform 'Apex Chert', Pilbara, Western Australia: Presenting a New Suite of Early Archaean Microbially Induced Sedimentary Structures (Talk; Given by Keyron Hickman-Lewis). Biosignature Preservation and Detection in Mars Analog Environments, Lake Tahoe, Nevada. Parry, L., Condon, D., Garwood, R.J., McIlroy, D., Boggiani, P. & Liu, A.G. 2016. Meiofaunal burrowing at the Cambrian-Precambrian boundary. (Talk; Given by Luke Parry). Progressive Palaeontology, Oxford. Garwood, R.J. 2016. High resolution CT and ancient organisms. (Talk; Invited Speaker). Earth and Environmental Sciences, University of Leeds. Garwood, R.J. 2016. Open source software for visualising tomographic datasets. (Workshop; Invited Speaker; Sponsored by SSI) Advanced Imaging of Materials (AIM) Facility, University of Swansea. Garwood, R.J. 2016. An introduction to high resolution CT and ancient fossils. (Talk; Invited Speaker). School of Earth and Environmental Sciences, University of Portsmouth. Garwood, R.J. 2015. Investigating evolutionary milestones using fossils and high resolution CT. (Talk; Invited Speaker). Faculty of Life Sciences, University of Manchester, Computational and Evolutionary Biology Autumn Seminar Series. Ortega-Hernández, J., Slater, B., & Garwood, R.J. 2015. Plant macrofossils from the Homerian (Wenlock, Silurian) of Stonehaven, Scotland. (Poster). Annual Meeting of the Palaeontological Association, Cardiff. Garwood, R.J., Sutton, M.D., Rahman, I. 2015. SPIERS software suite for tomographic reconstruction (Workshop; Sponsored by SSI). Annual Meeting of the Palaeontological Association, Cardiff. Norman, D.B., Brasier, M.D., Liu, A.G., Cotton, L., Hiscocks, J., Garwood, R.J. & Wacey, D. 2015. Remarkably preserved brain tissue ultrastructure in an Early Cretaceous iguanodontian dinosaur. (Talk; Given by David Norman). Annual Meeting of the Palaeontological Association, Cardiff. Garwood, R.J. 2015. An overview of Fossil charcoal in the Devonian. (Talk). Northwestern Journal Club, ICAM, University of Manchester. Garwood, R.J. 2015. Capturing Nature. (Panel Discussion; Invited Participant). Summer of Science Exhibition, Royal Society, London. Garwood, R.J. 2015. Imaging and ancient fossils. (Talk; Invited Speaker). Micro-CT applications on fossil studies workshop, Zoologische Staatssammlung, München. Garwood, R.J. 2015. An introduction to SPIERS. (Workshop; Invited speaker). Micro-CT applications on fossil studies workshop, Zoologische Staatssammlung, München. Garwood, R.J. 2015. The School of Earth, Atmospheric and Environmental Sciences: Research. (Talk). School of Earth, Atmospheric and Environmental Sciences, University of Manchester Open Day. Garwood, R.J. & Turner, M. 2015. Drishti Prayog DinoZone Touchscreen System. (Touchtable 3D Date Exploration System) Dinozone, Cheltenham Science Festival. Garwood, R.J. 2015. New approaches to studying ancient fossils. (Talk). Liverpool John Moore's University. Garwood, R.J. 2015. Novel imaging techniques and Precambrian fossils. (Talk). University of Oxford. Garwood, R.J. 2015. Using X-ray tomography to better understand evolutionary milestones. (Poster). Royal Commission for the Exhibition of 1851 Presidential Dinner, London. Garwood, R.J. 2015. Computational evolutionary simulation. (Talk). SSI Collaborative Workshop 2015, University of Oxford. Garwood, R.J. 2015. Using X-ray tomography to better understand evolutionary milestones. (Talk; Invited Speaker). Royal Commission for the Exhibition of 1851 Alumni Science Evening, London. Butler, A.D., Streng, M., Zhang, Z., Garwood, R.J. & Holmer, L.E. 2014.Deciphering brachiopod origins: The Cambrian Explosion, small shelly fossils and early evolutionary history of Lophotrochozoa. (Talk; Given by Aodhàn Butler). Annual Meeting of the Palaeontological Association, Leeds. Spencer, A. R. T., Kenrick, P., Steart, D.C., Garwood, R.J., Hilton, J., Munt, M., & Needham, J. 2014. An exceptional three-dimensionally preserved Pararaucaria (Cheirolepidiaceae) ovuliferous cone from the late Jurassic of Southern England: non-destructive recovery of full anatomical and histological detail using Diamond Light Source synchrotron. (Talk; Given by Alan Spencer) Annual Meeting of the Palaeontological Association, Leeds. Garwood, R.J. 2014. Imaging in Earth Sciences: Better software training, better research. (Talk). SSI Fellows Selection Day 2014, University of Manchester. Garwood, R.J. 2014. X-rays, computers and invertebrates. (Talk; Invited Speaker). Oxford University. Garwood, R.J. 2014. Synchrotron v.s. Lab tomography. (Talk; Invited Speaker). University College London. Garwood, R.J. 2014. Open source software for visualising tomographic datasets. (Talk; Invited Speaker). RAL Tomography-and-Coffee Seminar, Didcot, UK. Garwood, R.J. & Rahman, I.A. Virtual Palaeontology (Public engagement talk; Invited Speaker). British Science Festival 2014, Birmingham. Bertini, M., Ball, A.D., Mellish, C., Blagoderov, V., Goral, T., Sykes, D., Burgio, L., Shah, B., Pretzel B., Summerfield, R., Steart, D.C., Garwood, R.J., Spencer, A. R. T., Ross, A., Penney, D. 2014. Impact of micro-CT and confocal microscopy analyses on amber. A risk assessment study using optical microscopy, FTIR and Raman spectroscopy. (Poster) 18th International Microscopy Congress, Prague, Czech Republic. Garwood, R.J. 2014. An introduction to Blender. (Workshop; Invited speaker) DigitalSpecimen 2014, Museum für Naturkunde, Berlin. Garwood, R.J. 2014. An overview of freely available software for processing and visualising tomographic data. (Talk; Invited Speaker). DigitalSpecimen 2014, Museum für Naturkunde, Berlin. Bertini, M., Ball, A.D., Mellish, C., Burgio, L., Shah, B., Pretzel, B., Blagoderov, V., Goral, T., Sykes, D., Summerfield, R., Steart, D.C., Garwood, R.J., Spencer, A. R. T., Ross, A., Penney, D. 2014. Conservation vs investigation of amber: A risk assessment to determine whether amber is altered by micro-CT or confocal microscopy studies. (Poster) Society for the Preservation of Natural History Collections (SPNHC), Cardiff. Garwood, R.J. & Dunlop, J.A. 2014. Tomographic reconstruction of extinct arachnids and chelicerate phylogeny. (Talk). ICIM 03, Museum für Naturkunde, Berlin. Garwood, R.J. 2014. Open source and free software for exploring tomographic data. (Talk; Invited Speaker). Tomography for Scientific Advancement, Natural History Museum, London. Spencer, A. R. T., Kenrick, P., Steart, D.C., Garwood, R.J., Hilton, J., Munt, M., & Needham, J. 2014. An exceptional three-dimensionally preserved Pararaucaria (Cheirolepidiaceae) ovuliferous cone from the late Jurassic of Southern England: non-destructive recovery of full anatomical and histological detail using Diamond Light Source synchrotron. (Talk; Given by Alan Spencer) 9th European Palaeobotany-Palynology Conference, Padua, Italy. Streng, M., Butler, A.D., & Garwood, R.J. 2014. It’s a brachiopod, it’s a coral, it’s a brachiopod – an enigmatic middle Cambrian organism adapted to reef-like environments? (Talk; Given by Michael Streng) 4th International Palaeontological Congress, Mendoza, Argentina. Butler, A.D., Garwood, R.J., Streng, M.,Lowe, T., & Holmer, L. E. 2014. Shedding light on the tommotiid stem-brachiopod transition with multi-scalar X-ray computed tomography. (Talk; Given by Aodhàn Butler) 4th International Palaeontological Congress, Mendoza, Argentina. Garwood, R.J. 2014. Computers, X-rays and evolutionary milestones. (Talk; Invited Speaker). ESE, Imperial College, London. Garwood, R.J. 2014. X-rays and early arachnids. (Talk). Scientific Associate's Day, Natural History Museum, London. Garwood, R.J. 2014. Early terrestrial arthropods revealed through micro-CT. (Talk; Invited Speaker). Institutionen för geovetenskaper, Uppsala universitet. Garwood, R.J. 2013. X-rays, DNA and early land animals. (Talk; Invited Speaker). School of Earth, Atmospheric and Environmental Sciences, University of Manchester. Garwood, R.J. 2013. The future of palaeontology and what we don't know. (Talk; Invited Speaker). PGRC, School of Earth, Atmospheric and Environmental Sciences, University of Manchester. Knecht, B., Hegna, T. & Garwood, R.J. 2013. The Carboniferous whip spider Graeophonus (Arachnida: Amblypygi): New data on pedipalp evolution. (Poster). 2013 GSA Annual Meeting in Denver: 125th Anniversary of GSA. Garwood, R.J. & Jacques, S. 2013. Possible future directions for micro-CT. (Talk; Invited Speaker). Tomography for Scientific Advancement, Natural History Museum, London. Garwood, R.J. 2013. Origins and eight legs. (Public engagement talk; Invited Speaker). TEDxAlbertopolis Salon. Garwood, R.J. 2013. What Lies Beneath: Metamorphosis Revealed (Public engagement talk; Invited Speaker). Nature Live, Natural History Museum, London. Garwood, R.J. 2013. X-rays, gene expression, and Carboniferous harvestmen. (Talk; Invited Speaker). Department of Geology, University of Leicester. Giribet, G., Sharma, P., Dunlop, J.A. & Garwood, R.J. 2013. A stem-harvestman from the Late Carboniferous Montceau-Les-Mines Lagerstätte. (Talk; Given by Gonzalo Giribet) 19th International Congress of Arachnology, Kenting National Park, Taiwan. Garwood, R.J., Dunlop, J.A., Sharma, P. & Giribet, G. 2013. Fossil harvestmen and a new stem-group representative (Seminar; Invited Speaker). Imperial College, London. Garwood, R.J., Dunlop, J.A., Sharma, P. & Giribet, G. 2012. The first stem-harvestman (Talk). Annual Meeting of the Palaeontological Association, Dublin. Butler, A.D., Streng, M., Garwood, R.J., Lowe, T., & Holmer, L. E. 2012. Exceptional preservation of Micrina setae and 3D MicroCT reconstruction confirm the tommotiid stemgroup brachiopod link. (Poster). Annual Meeting of the Palaeontological Association, Dublin. Garwood, R.J. 2012. Digital palaeontology: Using computational techniques to understand past life (Talk; Invited Speaker). UCL: Centre for Ecology and Evolution / Department of Genetics, Evolution, and Environment. Criswell, K.E., Finarelli, J. A., Friedman, M., Garwood, R.J. & Coates, M. I. 2012. Deltoptychius :investigating the roots of the chimaeroid cranial condition. (Talk; Given by Katharine Criswell). SCIB 2013, San Francisco, CA,USA. Garwood, R.J. 2012. Milestones in evolution: From bacteria to organised cells to animals (Public engagement talk; Invited Speaker). Nature Live, Natural History Museum, London. Garwood, R.J. 2012. Virtual palaeontology: an introduction (Talk; Invited Speaker). SVPCA 2012, Oxford. Butler, A.D., Streng, M., Skovsted, C. B., Holmer, L. E., Lowe, T. & Garwood, R. J. 2012. Resolving the position of problematic lower to middle Cambrian Lophotrochozoa: a critical appraisal of tommotiid and stem-brachiopod character homologies. (Talk; given by Aodhàn Butler). 34th IGC, Brisbane, Australia. Garwood, R.J. 2012. SPIERS workshop. (Workshop, Invited Speaker). Department of Genetics, Evolution, and Environment / Department of Earth Sciences, UCL. Coates, M., Garwood, R.J., Friedman, M., Finarelli, J. & Criswell, K. 2012. From Wood to trees: building a new character set for holocephalan phylogeny (Talk; Given by Michael Coates). SVPCA 2012, Oxford. Knecht, B., Garwood, R.J. & Hegna, T. 2012. First CT-scan reconstruction of Graeophonus, a late Carboniferous whip spider (Arachnida: Amblypygi) from Coseley, Staffordshire, UK. (Talk; Given by Brian Knecht). GSA 2012, Charlotte NC USA. Garwood, R.J. 2012. Computed Tomography and Carboniferous Arthropods (Talk; Invited Speaker). Bristol University. Criswell, K.E., Finarelli, J.A., Friedman, M., Garwood, R.J. & Coates, M. I. 2012. Deltoptychius: cranial characters and rethinking early holocephalan phylogeny. (Talk; Given by Katharine Criswell). SVP 72nd Annual Meeting, Raleigh, NC USA. Fisher, C.R., Abel, R., Garwood, R.J. Underhill, D., Williams, C., and Ashton, N. M. 2012. Old stones & new technologies. (Talk; Given by Claire Fisher). Computer Applications and Quantitative Methods in Archaeology 2012, Southampton. Garwood, R.J. 2012. Tomography Of Early Terrestrial Arthropods (Talk; Invited Speaker). Hooke Dinner, Oxford University. Hunt, A.C., Benedix, G.K., Garwood, R.J. & Howard, L. 2012. Distribution of metal and sulfide in Pontlyfni as revealed by micro-computed tomography (Talk; Given by Alison Hunt). UK Planetary Forum, 9th Early Career Scientists Meeting, Milton Keynes. Garwood, R.J. & Dunlop, J.A. 2011. Tomographic reconstruction of Carboniferous Arachnids - New Results (Poster). Annual Meeting of the Palaeontological Association, Plymouth. Garwood, R.J. 2011. X-ray micro- and nano-tomography: An accessible tool for palaeontologists (Poster). Annual Meeting of the Palaeontological Association, Plymouth. Garwood, R.J. 2011. A Brief History Of Life (Public engagement talk; Invited Speaker). Departmental Visit - Imperial College Christmas Lecture. Garwood, R.J. 2011. An Introduction to X-ray Microtomography (Talk, Invited Speaker). Research Colloquium, British Museum. Dunlop, J.A., Garwood, R.J. & Penney, D. 2011. The devil in the detail: modern morphological methods allow the confident placement of fossil arachnids as (molecular) calibration points. (Talk; Given by Jason Dunlop). 8th Biennial Meeting of the Systematics Association 2011, Belfast. Garwood, R.J. & Sutton M.D. 2011. Tomographic reconstruction in palaeontology (Talk; Invited Speaker). EGU General Assembly 2011, Vienna. Garwood, R.J. & Sutton M.D. 2010. Computational simulation of macroevolution (Talk). Annual Meeting of the Palaeontological Association, Ghent. Garwood, R.J. 2010. Life, palaeontology, evolution, extinctions (Lecture). Module 2.03, Dynamic Earth, Imperial College. Garwood, R.J. 2010. Computer reconstruction and Carboniferous fossils (Talk). Earth & Planets Seminar: Imperial College, London. Garwood, R.J. & Dunlop, J.A. 2010. Röntgentomographie von Weberknechten aus dem Karbon (Arachnida: Opiliones) (Talk; Given by Jason Dunlop). Mitgliederversammlung der Arachnologischen Gesellschaft e.V., Museum für Naturkunde Berlin. Garwood, R.J. 2010. Tomographic reconstruction of Carboniferous Arthropods (Talk, Invited Speaker). The 5th International Conference on Fossil Insects, Arthropods and Amber, Beijing. Garwood, R.J., Dunlop, J.A. & Sutton, M.D. 2010. X-Ray Microtomography Of Carboniferous Harvestmen (Arachnida: Opiliones) (Talk; Given by Jason Dunlop). XVIII International Congress of Arachnology, Siedlce, Poland. Garwood, R.J, Dunlop, J.A. & Sutton, M.D. 2010. X-Ray Microtomography Of Carboniferous Harvestmen (Arachnida: Opiliones) (Talk). IPC3, London. Garwood, R.J. & Sutton, M.D. 2010. Computer modelling of evolution over palaeontological timescales (Talk). Progressive Palaeontology, Bristol. Garwood, R.J. 2010 . XMT In Virtual Palaeontology: New Insights Into Carboniferous Life (Talk: Invited Speaker). NHM CT Conference. Garwood, R.J. 2010. Virtual Palaeontology: A Victorian Science In The 21st Century (Public engagement talk; Invited Speaker). Hills Road VI Form College, Cambridge. Feldman, H.R., Schemm-Gregory, M., Wilson, M.A., Garwood, R.J. & Sutton, M.D. 2010. Digitized Reconstruction Of The Internal Hard-Part Anatomy Of Articulate Brachiopods (Poster). GSA Northeastern Section (45th Annual) and Southeastern Section (59th Annual) Joint Meeting. Garwood, R.J. 2009. Virtual Palaeontology: Bringing Extinct Species Back To Life (Talk; Invited Speaker). Nature Live Event, Natural History Museum. Garwood, R.J. & Sutton M.D. 2009. Virtual Carboniferous 'Cockroaches' (Talk; winner of President's Prize). Annual Meeting of the Palaeontological Association, Birmingham. Garwood, R.J. 2009. Abiogenesis & Early Life (Lecture). Module 5.17, Palaeobiology, Imperial College. Garwood, R.J. 2009. The Cutting Edge Of Palaeontology: Computer Reconstruction And The History Of Life (Talk). Imperial College Open Day. Garwood, R.J. 2009. High-fidelity computer reconstruction of Carboniferous Coal Measures arachnids (Talk). Progressive Palaeontology, Birmingham. Garwood, R.J. 2009. High-resolution X-ray computed tomography of siderite-hosted fossils (Talk). NHM Student Conference, Natural History Museum, London. Garwood, R.J. & Sutton M.D. 2008. Bringing The Thylacocephala Out Of Their Shell: Enigmatic Arthropods And Tomographic Reconstruction (Poster). Annual Meeting of the Palaeontological Association, Glasgow. Garwood, R.J., Sutton M.D. & Dunlop, J.A. 2008. Computer Reconstruction Of Carboniferous Trigonotarbids (Poster). Annual Meeting of the Palaeontological Association, Glasgow. Garwood, R.J. 2008. 3D Reconstruction Of Carboniferous Arthropods From The Coseley And Montceau Lagerstätten (Talk). Earth & Planets Group Seminar, Imperial College. Garwood, R.J. 2008. Bringing The Thylacocephala Out Of Their Shell: 3D Reconstruction And Enigmatic Arthropods (Talk; Invited Speaker). Progressive Palaeontology, Manchester. Garwood, R.J. 2008. The Investigation Of Enigmatic Arthropods: Two 3-D Reconstruction Case-Studies (Talk; Invited Speaker). Manchester Palaeontology Society, Manchester. Garwood, R.J. 2007. Tomographic Reconstructions Of The Enigmatic Thylacocephalan Arthropod Dollocaris ingens (Talk). Imperial MSci Presentations. All work by Russell Garwood (excluding linked journal papers where stated otherwise) is licensed under a Creative Commons Attribution-NonCommercial-ShareAlike 3.0 Unported License.